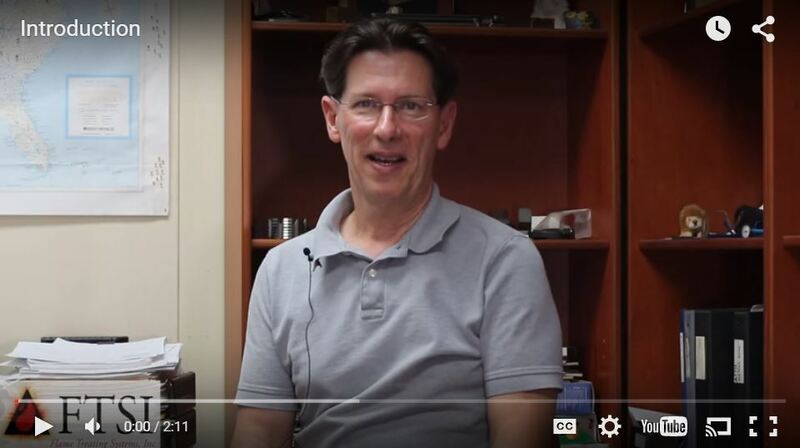 I received a call recently from a customer who had come to us to solve his heat-treating problems nineteen years ago. Back then he had started out producing anvils (yes, blacksmithing anvils). At first, he hired a machine shop to make them out of forged steel. The anvils, of course, needed to be hard enough to withstand the pounding that comes with using an anvil. So, the machine shop sent their anvils to a heat treater to increase the hardness level. To do that, the heat treater put the anvils in an oven then a quench bath. But to his dismay, our customer discovered that furnace heat-treating didn’t produce the results he needed. The furnace treating made the anvils so brittle they broke off when hit with any force. 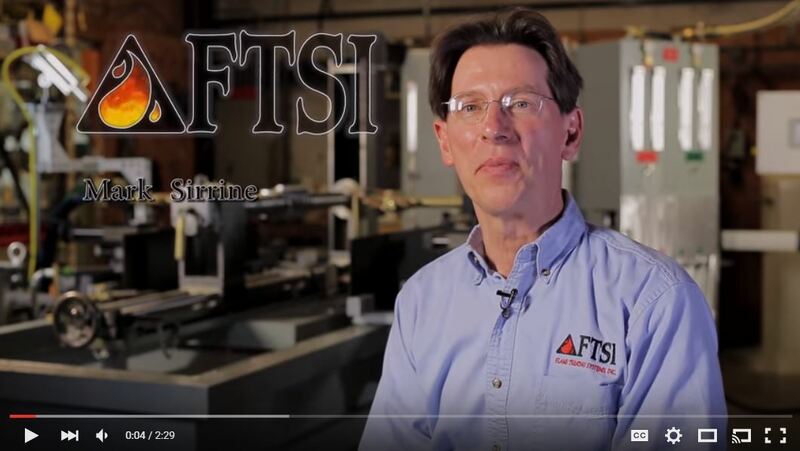 He began to look for a different type of heat treating solution and that brought him to Flame Treating Systems. We had never seen anyone needing localized hardening of anvils before. I sat down with him first to understand the problem that brought him to us in the first place, then we worked together to design a solution that would prevent the brittleness but stay within his budget. The challenge soon became apparent to us: anvils have a huge amount of mass that absorb heat. Designing a flame head to distribute the right amount of flame from edge to edge risked so much heat in the middle that it could burn the surface. By careful measurement of fuel gas/oxygen flows and port patterning in the flame heads of a progressive flame hardening system, we established a perfect coupling distance of 7/16” between the flame head and the surface to achieve an evenly distributed surface hardness pattern. Delighted, he quickly trained on the system and put it into production. We would hear from him sporadically through the years, to order a new flame head or some other spare part. Alarmed, our friend (because our customers are also our friends) went to his operator who said he’d doubled the coupling distance because he was seeing surface burn in the middle of the anvils. That change reduced the overall distribution and hardness level. Our friend, in diagnosing the problem with that change, now needed to know what to troubleshoot to address the issue of surface burn – an issue we’d identified in our early days of design and testing. “I don’t panic about these things because I know I can call you and get to the bottom of it,” he told me. I appreciated the vote of confidence but I know how tricky progressive hardening applications are. By their very nature, they require a highly precise system of controls between fuel gas/oxygen flows, speed of application, and coupling distance. Even a very slight turn of a valve can alter the end product. 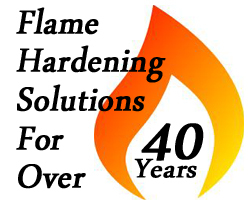 Flame hardening requires precise measurement and control of flows, application speeds and areas, and coupling distance – variables which must be kept constant for consistent results. Our friend took the coupling distance back to 7/16” and adjusted the flows to achieve the right balance and distribution of heat. He also said burns were a non-issue that didn’t impact quality – they can be ground out. 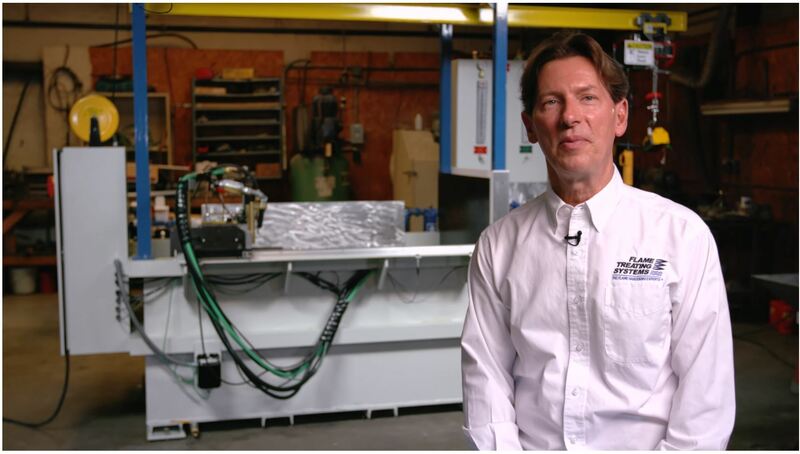 He understood the fine tuning of sophisticated heat applications with flame, and with our help felt confident his anvils would return to the workhorse-level his customers had come to love. I share this story to help tell my story. Many people underestimate the fine tuning necessary to flame harden metal in a progressive pattern (or any flame-hardening process, for that matter). That’s why we have developed systems of controls, from the most basic to highly electronic, computerized settings that cannot be changed without proper credentials. We want to work with our customers to provide the level of control appropriate to their budget and their setting. The more control you want to have over the variables that produce the right pattern, the more money you’ll need to put into equipment that measures, records, and then prevents changes to these variables. And even if your budget can’t afford all the password-protected control mechanisms out there, you call always call us – as friends, we are here to help. Reach me at 919-968-5208 or email me at mark@flametreatingsystems.com. And happy mid-July heat treating!